Art Instructor Susan Sieber enjoys demonstrating silk painting, Chinese calligraphy, origami and Japanese Comics at local libraries, schools and for events. Susan Sieber will be there with her handpainted silk scarves, banners and bags, along with other EVOLVE artists demonstrating their craft. 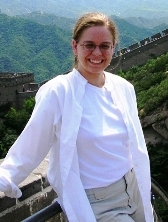 Susan Sieber will present photos from her time in Japan, and answer questions. At EVOLVE - silk painter Susan Sieber and jewelry artist Leanne Emery will demonstrate their crafts and have wonderful Mother's Day gifts for sale! OCT 18th - Draw Manga Monsters & Vampires, Friday, 2-3pm. FREE at the Crystal Lake Public Library - art instructor Susan Sieber will demonstrate Japanese comics drawing techniques, and invites kids and parents to draw along with her! NOV 12th - Anime Club, Wednesday, 7pm-8pm. SEPT 5TH - Kids in College classes begin Friday. McHenry County College in Crystal Lake offers great classes for kids and teens during the day on Friday, including Creative Writing, Manga Costume Design, and many more! SEPT 15 & 16th - Illinois Artisans Art Sale Mon-Tues, 10am-3:30pm. Twelve juried artisans display and sell wearable art such as jewelry, silk scarves, accessories, hats, sweaters, jackets, and knitwear in the James R. Thompson Center, Chicago. APRIL 27th - History of Manga Friday, 4-5pm. Woodstock High School Cartooning Club students enjoyed meeting art instructor Susan Sieber and learning about the techniques, meanings and history of Japanese Comics. APRIL 10th - Origami Demo Tuesday, 1:30-2:20pm. Fun With Origami! McHenry County College staff and students enjoyed seeing and trying interesting origami folds such as flowers, flapping crane, and great white shark with art instructor Susan Sieber. MCC is located at 8900 US Highway 14, Crystal Lake, IL, and the demo was in A117. DEC 3rd - MCC Winter Craft Fair Sunday, 10am-4pm. Located at McHenry County College, 8900 US Highway 14, Crystal Lake, IL. A fun fair featuring hundreds of booths filled with seasonal decorations and handmade gifts! Shop for jewelry, clothing, crafts and treats. The Uzushio Silks booth will offer handpainted silk scarves and belts, as well as high quality photo cards and great Zen stocking stuffers. OCT 28th & 29th - "A Country Christmas" Craft Show Saturday 8:30am-4pm; Sunday, 9am-3pm. Crystal Lake South H.S. Booster Club's 32nd annual craft show! Attendees enjoyed browsing fantastic handmade crafts and gifts, including Uzushio Silks . Autumn and winter colors available in beautiful handpainted silk scarves - also silkpainted pillows, belts, and banners available! There was food, fun, and a raffle of high quality craft items. The event took place at South High School, 1200 McHenry Avenue, Crystal Lake, IL. Email Mary at cntryxmas@sbcglobal.net for more info. OCT 19th - Manga: Draw Action Poses! Thursday, 7-8:30pm, FREE at the Crystal Lake Public Library in Crystal Lake, IL. Fun, facts and PRIZES! Art Instructor Susan Sieber presented fun Japanese phrases, information on the types of Japanese Comics, and a full hour of Japanese Comics art instruction. Everyone had fun drawing challenging action poses and practicing saying, Genki desu ka? (How are you? in Japanese). OCT 7th - Reprographics Open House Saturday, 9:30am-4:30pm. FREE demos, activities, and 30-50% off selected art supplies! Art Instructors Susan Sieber and Scott Little demonstrated drawing and painting at this fun event. Reprographics is located at 835 Virginia Rd in Crystal Lake, IL. Call (815) 477-1018 for details. SEPT 23rd - EVOLVE Silk Painting Demo Saturday, 11am-2pm. Silk Painter Susan Sieber demonstrated silk painting techniques and answered questions. EVOLVE is located at 54 N. Williams in downtown Crystal Lake, IL. Call (815) 444-9905 for details. MAY 24TH - The Art of Japanese Comics 6-8pm, FREE at the Harvard Diggins Public Library in Harvard, IL. Art Instructor Susan Sieber presented fun Japanese phrases, a lecture on the history and meaning of Japanese comics, and a full hour of Japanese Comics art instruction. Students tried sketching hands and developing action poses. MAY 5TH & 6TH Reprographics Open House Fri 1-6pm, Sat 9am-3pm. New items! Demos! Fun stuff! Call (815) 477-1018 for info on this annual event. Art Instructors Scott Little and Susan Sieber were there drawing, painting and answering questions from 9am-2pm on Saturday the 6th. Students, faculty and community members enjoyed an arts and crafts market, a dinner of international flavors, Japanese koto music, Tibetan monks performing Sacred Music and Sacred Dance for World Peace, and a Ukrainian dance ensemble. March 14th - MCC's Japanese Club celebrated Hanami Matsuri, "Cherry Blossom Viewing", from 10am-3pm in the Commons. The club created handmade cherry trees to admire, and summer robes, "yukata", to wear. There was an ink painting demonstration, a comic art booth, games and prizes.